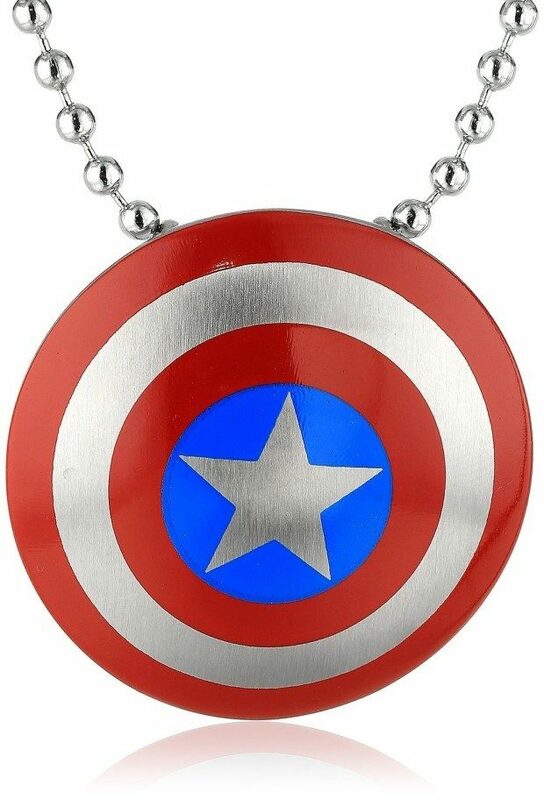 Marvel Comics Unisex Captain America Necklace Just $21.24! You are here: Home / Great Deals / Amazon Deals / Marvel Comics Unisex Captain America Necklace Just $21.24! Head over to Amazon and order the Marvel Comics Unisex Captain America Necklace for Just $21.24! Get FREE shipping if you are a Prime member or on orders of $35+! Comes with a 24″ Stainless Steel Chain! With a roster that has included Captain America, Iron Man, Ant-Man, Hulk, Thor, Wasp and dozens more over the years, the Avengers have come to be regarded as Earth’s No. 1 team! 24″ ball chain with Captain America shield pendant.